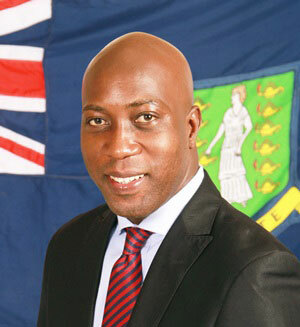 undersigned a letter to His Excellency the Governor, Premier and Speaker of the Virgin Islands House of Assembly alleging that two companies owned by Hon Myron V. Walwyn, MVW International Company Ltd and The Pub (2012) Ltd, have contractual arrangements with the Government of the Virgin Islands and therefore Hon Walwyn should be dismissed from the House of Assembly. FACT: MVW International Company Ltd and The Pub (2012) Ltd have no contract whether written or unwritten with the Government of the Virgin Islands. Based on the Virgin Islands Constitution – section 67 (3) (e) which looks at grounds for the dismissal of elected members of the House of Assembly and the section that the signers of the letter have referenced, our constitution explicitly states a reason for dismissal – if he or she becomes a party to any contract with the Government of the Virgin Islands for or on account of the public service or if any firm in which he or she is a partner, or any company of which he or she is a director or manager, becomes a party to any such contract, or if he or she becomes a partner in a firm, or a director or manager of a company, which is a party to any such contract. Those two companies provide services to the entire community, and any person or agency seeking its hospitality and food catering services in our democratic society are free to do so. The Government of the Virgin Islands is under no legal obligations to do business with MVW International Company Ltd and The Pub (2012) Ltd. Since 2012 there has never been any contract signed by the management of MVW International Company Ltd and The Pub (2012) Ltd to provide services. The companies provide services on an ad hoc basis as called upon by Government and this is not captured by section 67 (3) (e) of the Virgin Islands constitution. If that were the case, a number of the members of the House of Assembly who have owned businesses over the years would have also been dismissed. We find it interesting that the three signers of this letter for the past three and half years have partaken in meals provided for the House of Assembly by the same companies they now question without objection; even on days that they simply came by just to have lunch and not to participate in discussing the people’s business. In our small society Government has always sought services from the businesses operating in this community. Any business that operates in the Virgin Islands is obliged to provide the service of their organisation to the public, which includes the Government, whether it may be a gas company, a supermarket, a telecommunications company or a hospitality and catering provider. We believe that if the Honourable Members of the Opposition spend half the amount of time that they have spent trying to undermine the intelligence of the Virgin Islands public, to put forward actual plans for the advancement of the Virgin Islands, our democracy would be better off. However, their attempts of casting blatantly untrue allegations, bullying and the making up of convenient facts are not new. In 2011 they attempted to cast doubt in the minds of the public that Hon Walwyn, Hon Archibald Christian and Hon Mark Vanterpool were not eligible to run for office, despite the fact that the constitution was very clear that they were entitled to stand for elections in the Territory. Even after the public made its decision on November 9, 2011 to elect a new government, they attempted to draft a claim to question the eligibility of the then newly elected members to sit in the House of Assembly. As the country is once again being asked to look ahead and elect leaders, the same tired tactic that seems part and parcel of the DNA of these three elected officials to distort the truth and play on the emotions of the electorate has yet again surfaced. We invite Hon Julian Fraser, Hon Andrew Fahie, and Hon Alvin Christopher, who collectively have 52 years of experience as members of the Virgin Islands House of Assembly to use the experience and knowledge gained over those many years to turn a new page and present arguments and plans that are firstly truthful and secondly, that are constructive to the advancement of this Territory, just as the past founder of their party, Hon H. Lavity Stoutt did before them.